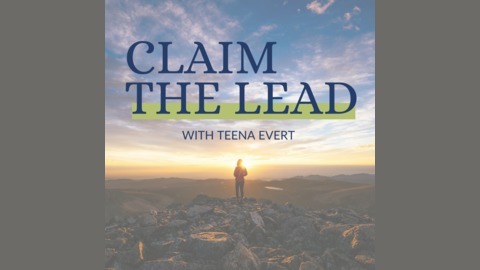 Claim The Lead is a podcast for aspiring, new and current female leaders (whether you’re a high level executive in your industry, the founder of your own company, or have a fierce entrepreneurial spirit) to develop greater self-awareness, satisfaction and success in work, life and love. 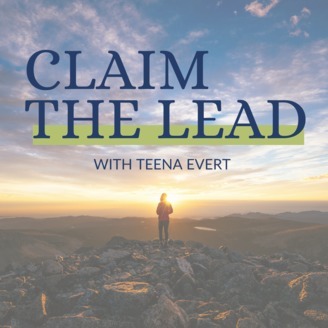 Teena Evert, MA, LMFT, LAC, PC created this podcast to inspire and educate extraordinary women to stand in and own their power through the development of their personal leadership so that they can lead with intention, authenticity and joy. Through interviews and stories we’ll take a look at how to heal from toxic relationships (both personal and professional), low self-esteem and self-confidence, self-sabotage, marital discord, lack of purpose, depression, anxiety, life and career transitions and much more. To learn more visit https://teenaevert.com/podcast. That there is more to health and wellness than the current medical model offers. What the feminine core is and how finding it can help you on your healing journey. Ways to work with your physical and energetic body and being.